"All my work, my life, everything I do is about survival, not just bare, awful, plodding survival, but survival with grace and faith. While one may encounter many defeats, one must not be defeated." Maya Angelou is probably our greatest living American poet and writer today. Her words resonate on the pulse of a nation and represent not just women's poetry, not just African-American poetry, but a people's poetry. Her poems resonate with us because they are raw and speak a truth. To anyone who has struggled in life, Maya Angelou's poetry is the foundation that supports and understands a life's struggle to be voiced and to be heard. Although Maya Angelou is best known for her volume of autobiographies, especially the series, I Know Why the Caged Bird Sings, she is also quite a prolific poet and her poetry is just as important as her autobiographies. Angelou, originally named Margaret Ann Johnson when she was born in 1928, was nicknamed "Maya" by her brother Bailey when they were toddlers. She has gone by this first name since then. She has published seven autobiographies, five books of essays, several books of poetry, and written numerous plays, movies, and television shows. When she was three years old, her parents divorced and she and her brother were sent by their father to Stamps, Arkansas to live with their paternal grandmother, Annie Henderson. Henderson owned and ran a general story during the Depression and WWII and even though they were living around horrible poverty, Angelou's grandmother made wise investments with money, and they did not have to scrape by during these times. After living with Henderson for four years, Angelou's father returned and sent the children to live with their mother in St. Louis, MO. At age 8, while living with her mother, Angelou was sexually molested and raped by her mother's boyfriend, Mr. Freeman. Angelou did tell her brother Bailey what happened but not to anyone else. Bailey informed their mother and uncles and it is believed the uncles killed Freeman to avenge her attack. As a result of her trauma, Angelou became mute for five years because she 'felt her voice had killed Freeman because she told.' She lived with this guilt and confusion, but at the same time developed an extraordinary memory, love of books and literature and the keen ability to closely listen and observe the world around her. 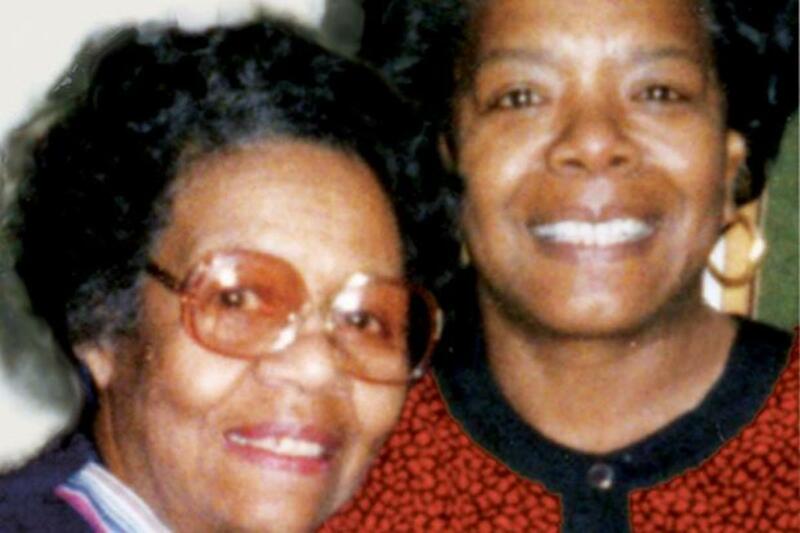 Shortly after Freeman was murdered, Angelou and her brother were sent back to her grandmother in Stamps, Arkansas. There she met, Mrs. Bertha Flowers, her teacher and mentor who helped her to speak again. 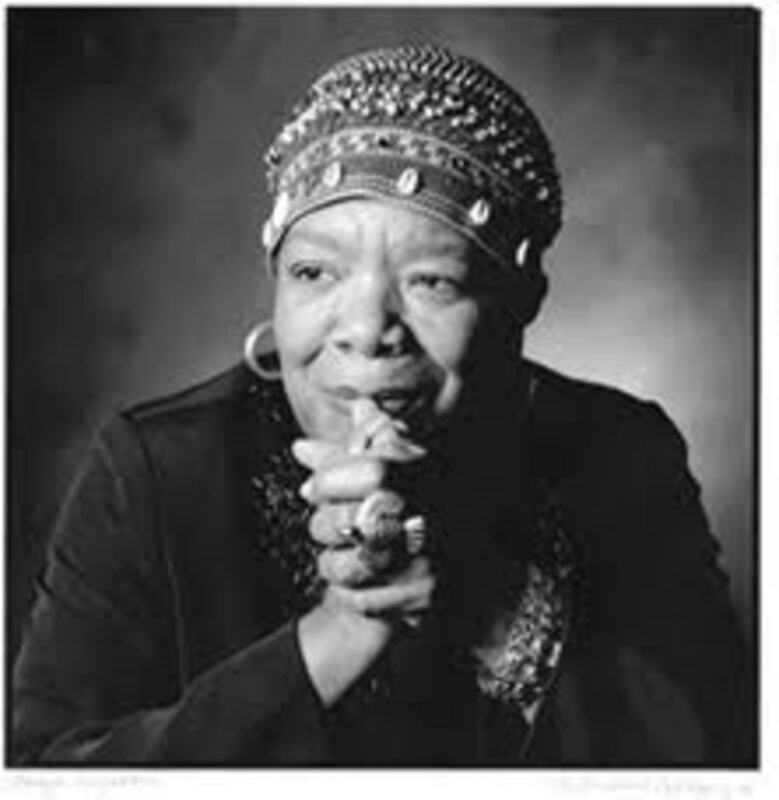 She did this by introducing Angelou to authors, Charles Dickens, William Shakespeare, Edgar Allan Poe, Douglas Johnson and James Weldon Johnson. These authors would affect her life and career as well as African-American female artists, Frances Harper, Anne Spencer, and Jessie Fauset. I Know Why the Caged Bird Sings, covers her childhood and early adult experiences and this is where we learn of the incidents that happened to her. With the publication of this autobiography in 1969, Angelou received international recognition and acclaim as a writer. She became the first African-American woman who was able to publicly discuss her personal life. Around the age of fourteen, Angelou and her brother again moved in with their mother who was now living in Oakland, CA. During WWII, Angelou attended George Washington High School in Oakland and studied dance and drama on a scholarship to California Labor School. Angelou worked during high school as the first African-American female street car conductor in San Francisco. At age seventeen, she gave birth to a son, Guy, three weeks after completing high school. Her autobiography, Gather Together in My Name, depicts her life from the ages of seventeen to nineteen and "depicts a single mother's slide down the social ladder into poverty and crime." She portrays her life as she moved through a series of relationships, occupations, and cities as she attempted to raise her son without job training or advanced education. It is during this time in her life that Angelou sank to her lowest, taking on the dubious occupations of madame, prostitute, night-club singer and performer and cast member of the opera, Porgy and Bess. In 1951, Angelou married Greek electrician and aspiring musician, Enistoseous (Tosh) Angelos during a time when there was great condemnation of interracial marriage and against her parents wishes. During the marriage Angelou worked as a modern dancer and formed a dance team with another girl. This marriage ended in 1954 and she worked professionally in clubs around San Francisco. While working as a Calypso dancer at a club called, The Purple Onion, the manager changed her name professionally to Maya Angelou and it has remained this ever since then. 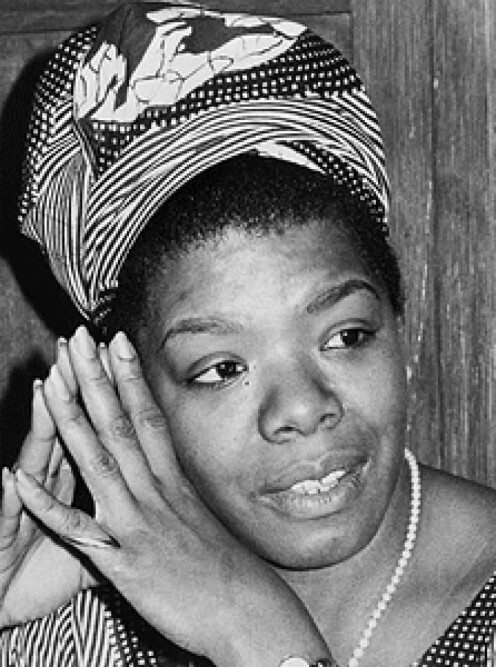 Angelou toured Europe with a production of Porgy and Bess during 1954-55 and studied and gained proficiency in several languages. 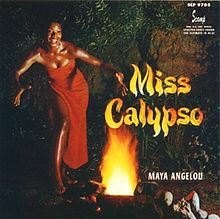 In 1957, she recorded her first singing album, Miss Calypso. Her writing career really began when she met James O. Killens and he persuaded her to move to New York City to concentrate on writing. There she joined the Harlem Writer's Guild and met several African-American authors and Angelou was published for the first time. In 1960, began Angelou's activist time and she supported and performed in benefits for the Southern Christian Leadership Conference. She also began her pro-Castro and anti-apartheid activism during this time. She met with South African freedom fighter Vusumzis Make and moved to Cairo and lived with him. Here she worked as an associated editor to a weekly English-language newspaper, The Arab Observer. Angelou's relationship with Make ended in 1962 and in 1965, Angelou left Ghana and returned to the United States, working for both Martin Luther King, Jr. and Malcom X in the civil rights movement. With Malcom X's assassination, Angelou was devastated and drifted along finally deciding to join her brother in Hawaii. In l967, she returned to NYC where there Jerry Purcell, a friend provided her with a stipend to support her writing. In 1968, devastated by MLK, Jr.'s assassination she wrote, produced and narrated, "Blacks, Blues, Black!" a ten part series of documentaries depecting the connection between blues music and African-American culture and heritage. During the 1970's, Angelou married again to Welsh carpenter, Paul du Feu, she was nominated for a Tony Award on Broadway for her role in Look Away, she met Oprah Winfrey and became her close friend and mentor and in 1981, divorced again, she accepted the lifetime Reynolds Professorship of American Studies at Wake Forest University in NC. She remains there today. During the 1970's, Angelou became known as the "black woman's poet laureate," but today I think her poetry resonates for all women and all people. She published her first volume of poetry in 1971, Just Give Me a Cool Drink of Water 'fore I Diiie, which was nominated for the Pulitzer Prize. Angelou fell in love with poetry in Stamps, Arkansas when she was a child and mentored by her beloved teacher, Bertha Flowers. Flowers encouraged Angelou to recite poems and this helped her to speak again, after five years of muteness. 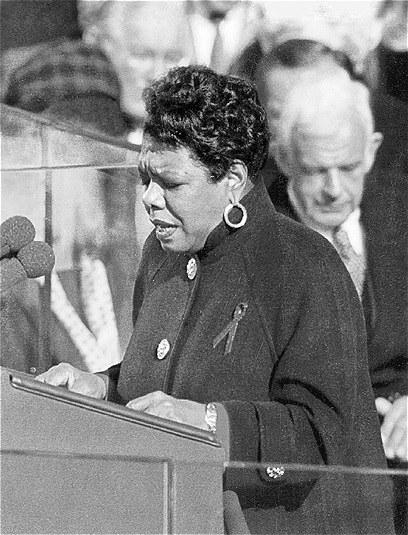 "On the Pulse of Morning," is Angelou's most famous poem and this is the one she read at President Bill Clinton's inauguration in 1993. Her theatrical performance was just as important as the words that day. Her other poem she is famous and remembered for is "I Know Why the Caged Bird Sings," which explains her years of muteness and her need to express herself the rest of her life. She read and recited "A Brave and Startling Truth" in 1995, at the 50th Anniversary of the United Nations. Her poem "We Had Him," about Michael Jackson was read at Jackson's funeral by Queen Latifah. In 1976, she published another volume of poetry, Oh Pray My Wings Are Gonna Fit Me Well. And, in 2003, Angelou wrote and published the poem you see below, one of my favorites of hers. It goes along with her life philosophy that one may encounter many defeats, but one must not be defeated. But, still like dust I rise. I think that Maya Angelou's entire life is reflected in this poem. Although, beaten down and degraded since the age of eight, she rose and found her voice in a world that constantly slapped her down. 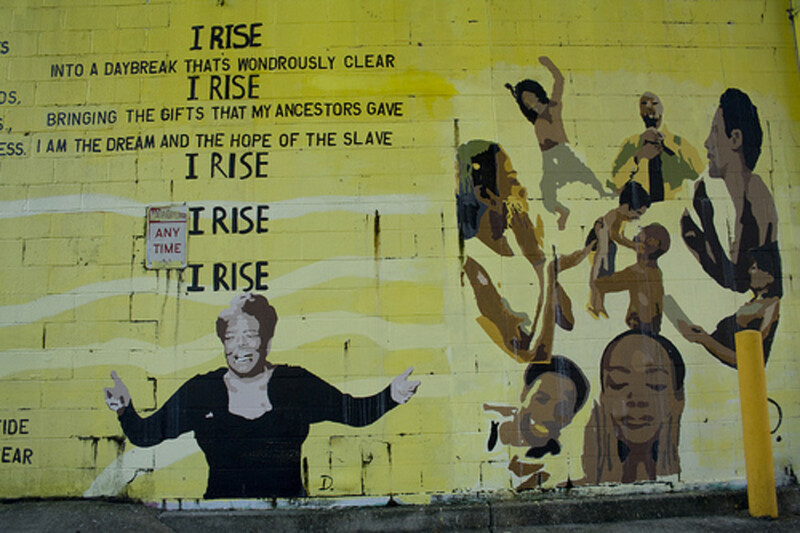 I think this poem best reflects Maya Angelou as a person - I rise. Two simple words but so gloriously true. If we can remember these two words throughout life, then our lives will not have been lived in vain. 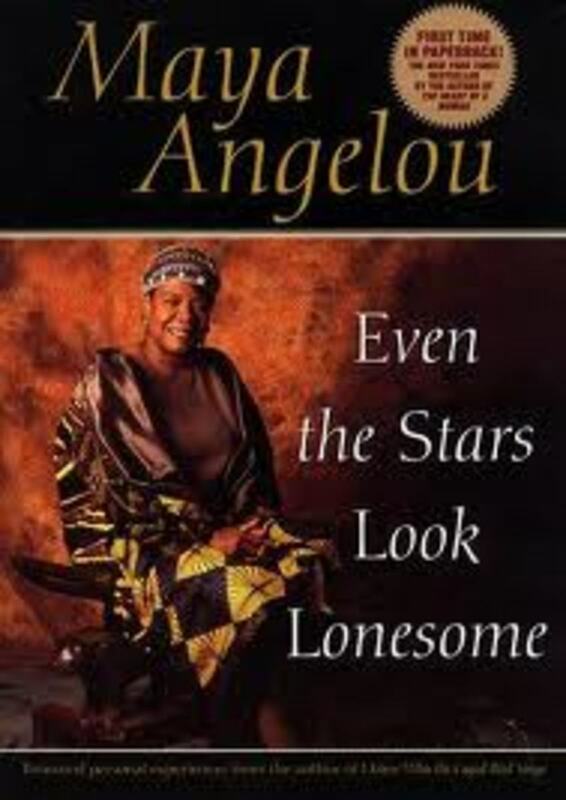 Angelou recites her poem "Phenomenal Woman"
A Close Look at Maya Angelou’s "Even the Stars Look Lonesome"
I agree with you. Her life was very inspirational to many, including myself. She spoke to all of us and her example of a strong woman who lived through much in her life spoke volumes. Wow! How wonderful to have met her. I would have loved to, also. I always watched her on the Oprah Winfrey show as she was a guest many times. You were in Portland. Is that S. Africa or the U.S.? Portland, Oregon or Portland, Maine? Her poems were universal and spoke her truth to everyone. I was very fortunate to have met her personally, what a strong presence (aura) this woman had, and her voice! In 1995 I was with a group from South Africa attending the Science of Mind conference in Portland where she was one of the quest speakers. She spoke the truth through her words and inspired us all that day. later we joined her as a group. Brandon: yes, she was a true poet - so talented, beautiful and strong. bluebird: she was a beautiful, strong, wise, and talented women. I loved her poetry and especially her autobiography books. Thanks so much for stopping by to read this. A great subject makes a great hub. Very well done. 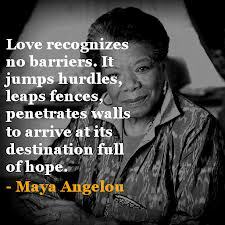 Maya was an inspiration to all and I enjoy reading her poetry. I especially like "Still I Rise". An amazing women of courage. Zelda: So glad you enjoyed reading this. Angelou had such an interesting and full life. I have taught this autobiography too and it was such a rewarding experience for my students and for me also. Well, the U.S. still has racial bias also so her voice resonates here also. I enjoyed reading this, just wished I had found it earlier. I taught Why The Caged Bird Sings last term to Grade 9's in English. I think it would have pleased her tremendously to think that her voice is heard in our still-so-racially-divided society in South Africa. Ms Dora: Yes, she lead an interesting and inspirational life. Her writings certainly are inspirational and full of hope. Thank you so much for reading and commenting. Most appreciated. Maya Angelou was indeed the phenomenal woman. Thank you for the historical outline of her life. I can never get enough of her or about her. She is worthy of the tribute you pay her in your article. Timetraveler2: I agree so much with you. She had so much dignity, grace and graciousness. She seemed to float into a room. You are right, she made us feel safe and her sense of peace was incredible. I, too, am sad she is gone, but she lived a long and wonderful life for the most part. Her writings will certainly continue to inspire us. travmaj: Maya Angelou is just so wonderful. I keep writing about her in the present tense; I just can't quite get it that she has passed on. Even gone, I think her writings will resonate and continue to inspire us. This hub practically wrote itself. She is so gifted and talented. I did it again. She was so gifted and talented. This is the first literary giant I was so closely connected to her writings. So sad. 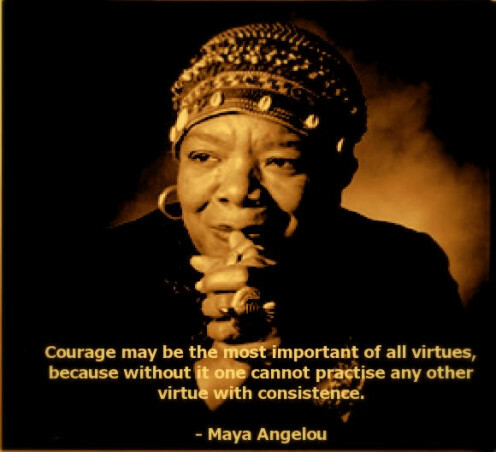 Thank you for this wonderful tribute to Maya Angelou - so gifted and compassionate, her courage and inspiration will live on. Again, thank you for this. Wonderful hub, my friend. As a personal note I would add here that somehow, whenever I saw her speaking, she made me feel somehow safe. There was a dignity about her that few have, and at the same time a sense of peace. I just hate it that she has left us, but at least her legacy remains. Thank you for writing such a terrific post. Thumbs up! Theresa: Thank you so much for your kind comments. I taught both her autobiography, "I Know Why the Caged Bird Sings" and her poetry to my students and we all just loved her. It is not hard to do her justice, she is so gifted and talented and such an inspiration. This practically wrote itself. She will continue to inspire through her writings. I just can't believe she is gone. She certainly is a literary giant and will be sorely missed. Thanks so much for her visit. Genna; It is hard to believe she is truly gone. I admired her so much also and she showed us how to live a graceful, gracious life. I was always drawn to her utter serenity in life after all the experiences she has had. Thank you so much for reading this and for your lovely comments. Most appreciated. Hi Ashok: So nice to see you here. You have said it all - the list of the different hats she has worn throughout her life are immense. She was so gifted and talented. We will all miss her - she has inspired so many, myself included. Thanks so much for coming by to read this and I appreciate your comments. manatia44: It is so sad that she has passed but she did live a long and gracious life. She was such an inspiration to so many, myself included. Her writings will live one making her immortal, thank goodness. Thanks so much for stopping by to read this and I appreciated your lovely comments. The world mourns the loss of a great woman. She was one of my favorite poets…I admired her tremendously. I have come to this hub a couple of times in recent hours; I am so glad you wrote this, Suzette. It is a place -- not like a mourning room -- but one where we can say with joy, we knew her talents and inspirational gifts as a human being, with grateful prayer. (“ Fly high, Maya, fly high…heaven in all its grace and beauty is now yours. We shall miss you with our tears; but will forever embrace your spirit through the words and inspiration you leave behind." ) Thank you, Suzette. Maya Angelou , Dancer. Singer. Poet. Author. Speaker. Educator. Creative. Inspirer. Mother. Black woman. Beautiful. She means so much to us. Everything. May she rest in peace. It was reported on the news that she passed today. God bless her unique and beautiful Soul in Heaven. Truly a towering and yet forgiving, vibrant and compassionate Spirit. I will always treasure her beauty and selfless Life. Sannel: Thank you so much for reading this. I just loved her and taught her poetry and her autobiography, "I Know Why the Caged Bird Sings" to my students. She was an amazing human being and such a great role model and inspiration to everyone. She will be greatly missed. Thank you for your kind comments about this piece. I just had to post it when I heard she had passed away. We had a great loss when Maya Angelou passed away today. She has been such an amazing inspiration to so many. An outstanding, wise and beautiful woman indeed. Thank you for a beautiful tribute to a most wonderful poet, woman and soul. grand old lady: Angelou is an extraordinary woman. I am amazed at all she has accomplished in her life and her wisdom helps and teaches us all today. I have enjoyed reading her autobriographies because of her interesting life. I don't agree with everything she has done, but I have enjoyed hearing her wisdom on it all. She understands the importance of being a woman. Thanks so much for reading this and for your perspective on her. I've read a few of her books. In the context of her background, she is a truly amazing woman. manatita: How wonderful to have met Maya Angelou. What a memory to treasure. I have only seen her on TV and I enjoy whatever it is she has to say. She is so full of wisdom about life. Thanks for reading this and I am glad you enjoyed it. She is a special phenomenal woman and her writings are fascinating to me. Thanks for stopping by to read this. Yes, she is a woman, phenomenally. Someone wrote about Toni Morrison the other day, and I immediately remembered Maya. I met her backstage in London once. She had us given her all and was so tired and bare. Nothing hidden, no pretence. Yet she saw us. 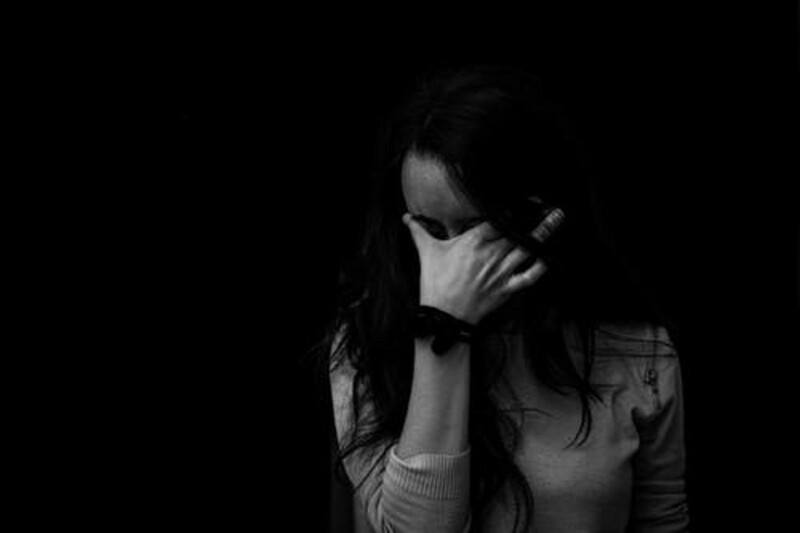 I was so happy, but felt her pain. Thank you for doing such magnanimous service for a real Spirit messenger of God and a wonderful Soul. Imogen: You said it - she is an amazing woman. What a life she has lead. Her poetry and autobiographies are so interesting and enlightening I think. I am so pleased you enjoyed reading this about her. Dee aka Nonna, Angelou is one of my favorites also. How wonderful and fortunate to have heard her speak not on e but three times. I would love to hear her speak sometime. I try to catch her whenever she is on TV especially Oprah's channel. I just hang on her every word because she is so wise. Her wisdom astounds me. Her life vision is unique. Thanks so much for reading this and I am glad you enjoyed it. I, too, love Maya Angelou. I have read, I think, everything that she has written and published. She is amazing in her ability to get to the heart of whatever her subject is..... I was fortunated to see her perform/speak live on three different occasssions. Two of those time I was lucky enough to get front row (and center) seats. Loved your articles. Voted up and interesting. Genna: She is one of my favorite writers, too. I am so glad you enjoyed reading this and thank you so much for your kind comments. Angelou is one of a kind! Maya is, hands down, one of my favorite poets and writers. She is, in many ways, my idol. Thank you for this truly superb hub! Hi bluebird! So glad you enjoyed this article. Angelou is one of my favorite writers so this was a labor of love. Thanks so much for your visit! You dear somehow pick the right subject every time! I really like her poetry and her skill is amazing! Thanks for reminding us and for this excellent hub. Jackie: Thank you so much for reading about her. She is one of my favorite writers and quite an inspiration to all, I think. So glad you enjoyed this and I appreciate your comments. Audrey: Wow! Thank you so much for your kind and encouraging comments. I appreciate your visit and what you have to say about this article. I have enjoyed Angelou's writings throughout the years and wanted to write sort of a tribute to her. I have taught parts of her autobiography in literature classes and so much can be learned from her life. I believe her to be one of our most important writers. Thanks so much for your visit, Audrey - most appreciated. This has to be one of the best tributes to Angelou I've come across. You haven't missed a thing. She should read this. What an inspiration this beautiful woman and writer is. I seem to come away a better person after reading her work. You've put so much thought and time into this hub. Your light shines through and I am warmed by it. Victoria: So glad you liked this! I enjoyed your article so much too. Angelou was quite a phenomenal and inspiring woman. I am amazed all that she accomplished and still is in her life. Thanks for the visit. Hey, I see that you have a hub on Angelou, too! How cool! I first heard "Phenomenal Woman" this past summer when teaching high school students at the University in a summer program. She said it inspired her to be more than she thought she could be. Woah--I just got goosebumps a I said that! Great hub! mckbirdbks: Why thank you so much. With the artist, Angelou, it is not hard to write something like this. She is such an interesting and inspiring writer. We can all learn from her example. So glad you enjoyed reading this. Thanks for visiting and for your comments - most appreciated. This essay is quite good. Sprinkled with facts about her and her life and her writing and her career. Nicely put together. Thank you so much, Docmo. I'm glad you enjoyed reading this as I find Angelou so inspiring. Your comments are most appreciated. Uriel: It is never to late to read the 'whole' autobiography. She is a remarkable woman and we all can learn much from her life and her writings. I am so glad you discovered her and her writings and that they were beneficial to you. Angelou is quite an inspiration to all of us. Thank your for your interest in this article. A appreciate your comments. An outstanding essay on an outstanding poet and personality. Her life and literature are inspirational. The chosen poem sums up her attitude to life so well. Thanks for reminding us of this inspiring force of nature. Awesome. I looked up to Maya as a kid. In grade 7 we were required to read small sections of " I know why the caged bird sings" I ended up hating myself for not reading the whole thing. And although I did not finish reading that piece of hers as a child, now , I feel like going 10 years back and reading the whole thing from scratch. 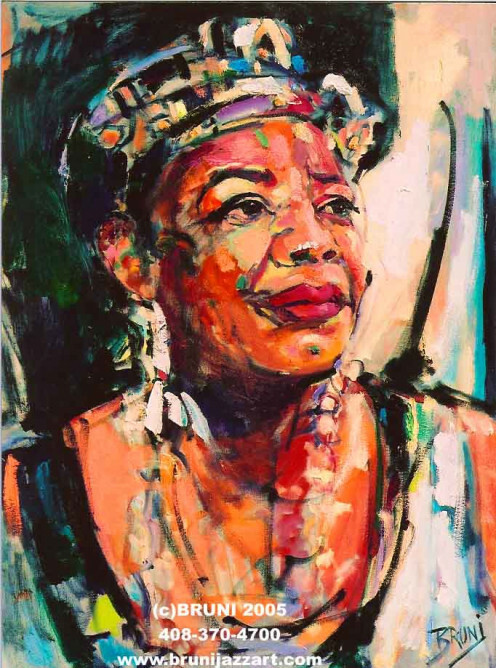 Her poetry pushed me forward when I wanted to give up, and although I am familiar with all her work, I have to say Maya left a remarkable mark on me. Her words can move mountains and lift up spirits that were crushed and degraded for a long period of time. Elias; Thank you so much for your encouraging words. I appreciate your visit and I'm glad you enjoyed reading this. Angelou is a wonderful writer. An excellent hub. Well written and full of interesting information about the life of a great poet. Well done, Suzette. Many thanks! nArchuleta: Thank you so much for your kind comments. I just love her writings but her poetry is not always highlighted and I think it is so good. Thank you so much for your visit - much appreciated. marwan: Yes, she is a wonderful lady and so talented in so many areas. She is truly an inspiration to all writers everywhere. I, too, didn't know all this about her until I researched her story. What a life! PDX: You said it best, she is a 'wonderful living treasure.' Glad you enjoyed reading this and thank you so much for the shares - I appreciate it. Thanks Eddy. Your comments and visit are so appreciated. Glad you enjoyed this! Sanjay: Thank you so much for reading this and for your visit. 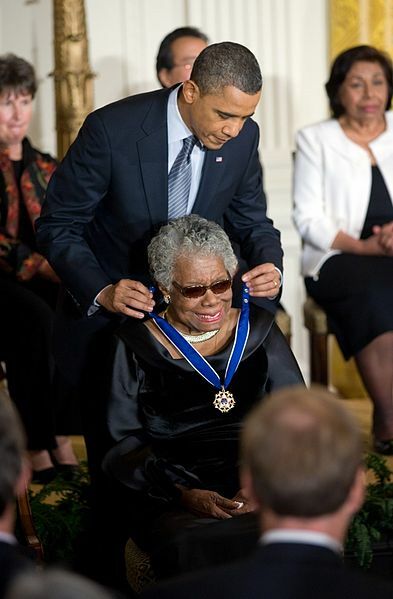 Angelou is a wonderful poet and we consider her a 'national treasure.' Tnanks for your comments. What a thorough and thoughtful piece about Maya Angelou. This was absolutely wonderful and fascinating. I shared this with my hubpages followers and on my facebook author page. Very well done tribute to a wonderful living treasure. Another wonderful read Suzette and voted up for sure. Thanks for introducing us with such a nice poetess. Thanks Blossom. So glad you enjoyed reading this. Thanks Faith: I'm glad you enjoyed reading this. We can all be inspired by her. An interesting article and a great tribute. Yes, what a phenomenal poet, woman and person, as is this phenomenal hub here and beautiful tribute. We can all learn a lot from Angelou. This is such an inspirational write here of one who inspires. Truly one of the best poets ever! Pamela: Thank you so much for your comments and I'm glad you enjoyed reading this. Angelou is so inspirational to me and I thought she would be for many others, too. Thanks for your visit. Most appreciated. Maria: What a compliment - thank you! I am so glad you enjoyed reading this. Your comments are most appreciated. And right back at you - you are such a fine person and I enjoy reading and knowing you here on HP. Bill: I know - I read that hub and her quote. Great minds think alike! Ha. ha ha. I guess subconsciously your hub inspired me to write about her. I taught her poetry and parts of her autobiography in my literature classes. The kids always enjoyed her writing so much. I think she is so inspirational to anyone of any gender. Thanks for the visit and for your comments and I'm glad you enjoyed this. Vinaya: I guess may be women identify with her more than guys do - but I think her writing is inspiring to anyone and her life story says it all - never give up! She is truly inspirational. Thanks for reading this and for your comments. Most appreciated. Joanne: Yes, isn't she a wonderful person? I love her writings, her autobiographies and her poetry. She is such a great role model and I agree a wonderful person. She is so inspiring also. Thanks for reading and for your comments. I appreciate your visit. ComfortB: I am so glad you enjoyed reading this and you learned some more about her. It is hard not to admire her writings and her grit not to give up. She is inspiring to me. Thanks so much for visiting and your comments. Most appreciated. anagham: She certainly is inspirational isn't she. I am so glad she achieved fame because she so deserved it. She has lived a full life and I am happy about all the awards she has received during her lifetime. Lurana: Thank you so much and I'm glad you enjoyed reading this. In researching her, I learned a few new things too. lol I have taught her poems and parts of her autobiography in class to my students. The section on Mrs. Flowers from "I Know Why the Caged Bird Sings," was in our literature book. She certainly is inspiring and I didn't know all she did with her life. She certainly has been busy. She has been so inspiring to me. Glad you enjoyed her story. You have given a phenomenal overview of the most beautiful poet I have read...so inspirational, empowering and self actualized. I am drawn to good and decent people. I have seen recent evidence where you fall easily into this category. I would love to send you an animated image to stress that point but I suspect you get the point without it. I just quoted her in a hub earlier this week....sheer genius. If I could somehow have an ounce of her talent then I'd be well on the way to success in writing. I have not read Maya Angelou, but from what I have read about her in this hub, I can this is a poet that I must surely read. She is one of my favorite poets. She speaks the truth through her words and inspires us all. She had a difficult life yet has been able to devote her life to caring for others. She is a role model and a wonderful person. Hello suzette, I learnt a lot about Maya Angelou in your hub. I've always admired her works. Read a lot of her books in college, but knew so little of her plights and life. She's really come a long way. Thanks for a good read. Voted up and interesting. I adore her bravery...Never lose hope! She has gone through tough times in her life, but stood up courageously... I recently came across one of her poems, "Poor girl".. great hub! Voted up!